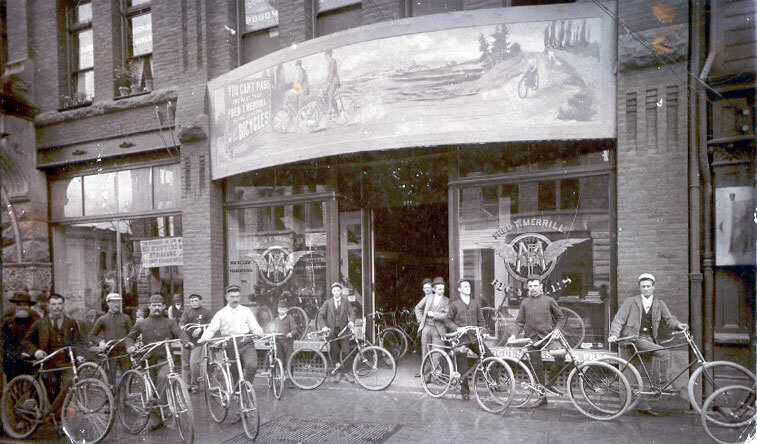 Via 718 Cyclery, here’s an amazing 1890 picture of Fred T. Merrill Bicycles, a shop in Portland, Oregon. I did a little more digging, and found this ad from the same shop, published a year later. 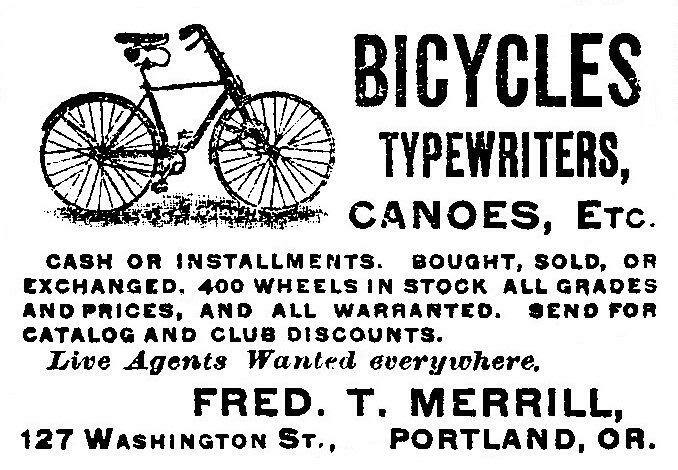 Bicycles, typewriters, and canoes!